A Bailey chair for dogs with megaesophagus can turn out being a lifesaver for dogs suffering from this debilitating condition. Dog owners may be interested in learning more about how a Bailey chair for dogs with megaesophagus can help their dogs out an what to look for when choosing the right chair. Veterinarian Dr. Ivana Crnec points out how megaesophagus affects dogs and important feeding requirements required for dogs with this condition. She also discusses the use of a Bailey chair for dogs with megaesophagus and provides tips on how to choose the right one. 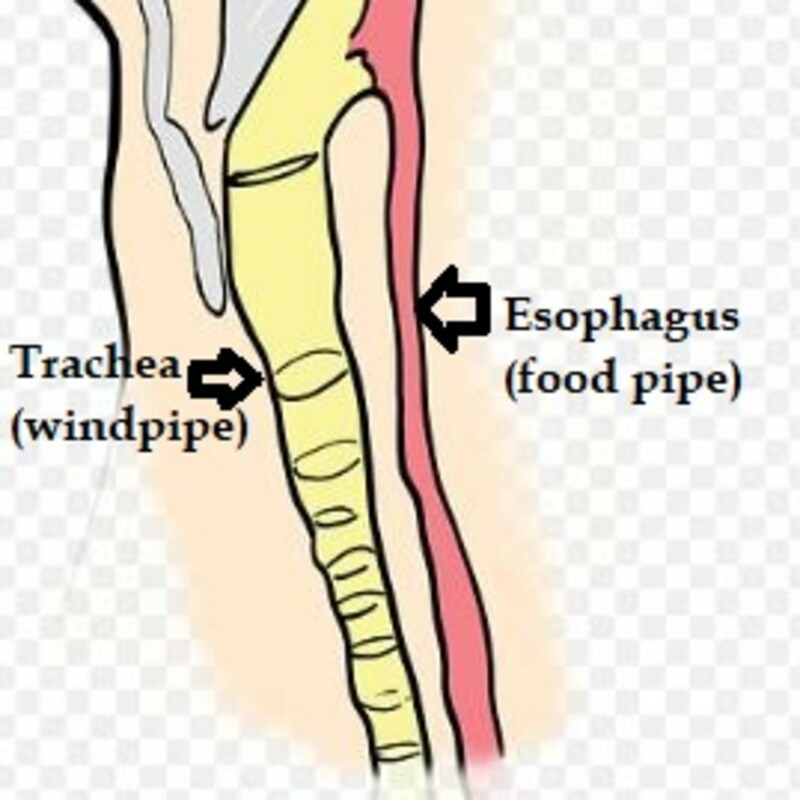 The esophagus can be defined as a muscular tube through which the ingested food and liquids are transported from the dog’s throat to the stomach. Its muscular walls perform rhythmical contractions (called peristalsis) that actively push and squeeze the swallowed mouthfuls of food (bolus). The passage of food is additionally aided by a lubricating mucus produced within the esophagus. These two functions work independently defying the force of gravity. All in all, because of the esophagus and its mechanisms, dogs can eat or drink with their heads down in face of gravity. In some rare case, a dog’s esophagus may become enlarged. The condition is called megaesophagus and it is defined as either partial or generalized enlargement, which, depending on its severity, causes decreased or absent peristalsis. Megaesophagus in dogs can be inherited or acquired. Megaesophagus usually develops when there is a blockage within the esophagus that leads to impaired contracting of the muscular walls. Once the contractions cease, food cannot properly progress within the esophagus. The food accumulates and pressures the walls of the esophagus, thus, causing the enlargement. neuromuscular conditions (myositis, distemper, myasthenia gravis), parasitic infections, certain intoxications (thallium, lead). Dogs with megaesophagus are prone to regurgitation. It should be noted that some dog breeds are genetically predisposed to developing megaesophagus. Those breeds include Miniature Schnauzers, Wirehaired Fox Terriers, Chinese Shar Peis, German Shepherd Dogs, Great Danes, Irish Setters, Labrador Retrievers, Dachshunds, Newfoundland Dogs and Pugs. Additionally, as dogs age, they become more prone to developing megaesophagus because with time, the esophagus tends to stiffen and becomes more and more rigid. Dogs with megaesophagus clinically manifest with regurgitation (passive process that unlike the vomiting occurs without warning signs), weight loss, abnormal appetite (either extreme hunger or anorexia), poor growth, disabled swallowing, coughing, respiratory distress, nasal discharge, excessive drooling, bad breath, altered vocalization. It should be noted that, more often than not, the enlarged esophagus is not a diagnosis itself, but rather a symptom of some other disease. Therefore the treatment goal is to ultimately eliminate the underlying cause. Nevertheless, in most cases, addressing the underlying cause does not ensure resolving of the enlarged esophagus. In those cases, suffering dogs require life-long therapy, regular follow-ups and strict and individually tailored feeding schedules and regimens. The goal of the feeding regimen in dogs with megaesophagus is to meet the dog’s nutritional requirements while getting the food and water out of the esophagus and into the stomach as quickly as possible. The role of the high chair help accomplish this. To ensure quick passage of the food through the esophagus, the dog should be fed in an elevated position. When saying elevated position we refer to a truly vertical position. In the past, elevated bowls were recommended. However, today it is well-established that elevated bowls are not best suited because they do not place the esophagus in the proper position so that the gravitational force can work. In a nutshell, the high chair or Bailey chair allows the dog to sit upright while eating, thus enabling the gravity force to influence the food’s passage down esophagus. Simply put, when the dog sits upright, the gravity force allows the food to passively pass through the esophagus and ensures that the food does not accumulate in the enlarged segment of the esophagus. Dogs with megaesophagus should be fed in an elevated position. Choosing the right Bailey chair for dogs with megaesophagus is quite important. The dog will spend a significant amount of time sitting in the chair so it needs to be as comfortable as possible. The more comfortable the chair is, the sooner your dog will accept it and get used of it. Unfortunately, there is no one-type-fits-all kind of high chair. Every dog needs a different and individually modified or best said custom-made high chair. When purchasing a high chair it is important to pay attention to several features such as material, adjustability, cushioning and price. Forcing the dog into the high chair is strongly discouraged. It will only make your dog feel imprisoned. It goes without saying that it will take some time until your dog gets used of the high chair. Be patient and do not expect miracles overnight. Teaching your dog how to use its new high chair includes several steps. Following are some steps for helping dogs use a Bailey chair. Understanding the concept – using praise and positive reinforcement allows the dog to associate the high chair with positive things. Making the introduction – put the chair in the room and allow your dog to investigate the new object. Pet and praise it as it sniffs around the chair. Luring the dog into the chair – leave the chair’s door open and use your dog’s favorite toy to encourage entering into the chair. Then put your dog in an upright sitting position and let it stand like that for a short time. Closing the door – once the dog is comfortable enough to enter the chair on its own it is time to start closing the door. Feeding the dog – start by giving small meals that allow the dog to leave the chair shortly after finishing the meal. When the dog becomes familiar with the procedure you can start giving full meals. Let the dog stay in the high chair for 20 to 30 minutes after the drinking or eating. Provide several but quantitatively small meals. Ideally, the dog should be offered at least 3-4 meals per day. Use high-quality and calorie-dense food. The goal is to meet the daily nutritional requirements while reducing the volume of the meal. Ensure the food is in milkshake consistency or meatballs size. Make sure the dog does not have access to food and water outside its monitored feeding time. Stick to the vet’s advice and make sure you give your dog all prescribed medications. Giving medications orally can be a challenge since it involves using the high chair. However, everything is a routine and eventually both you and your dog will get used of it.